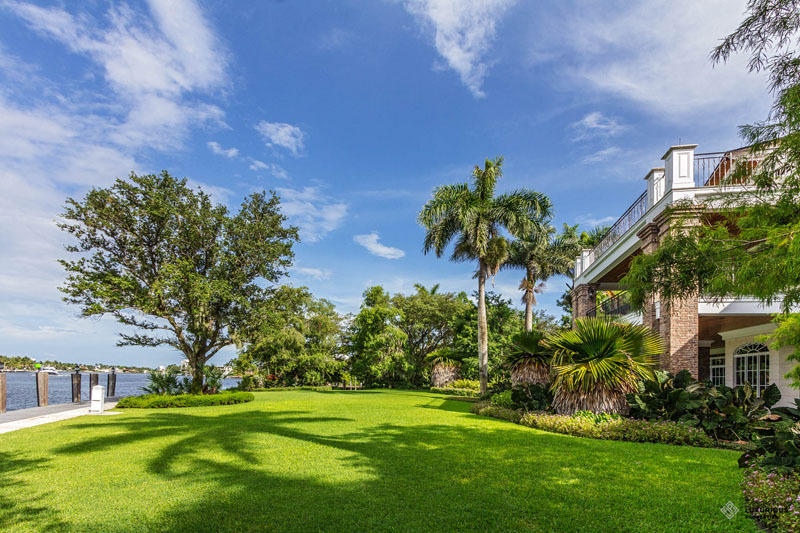 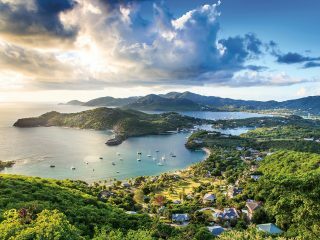 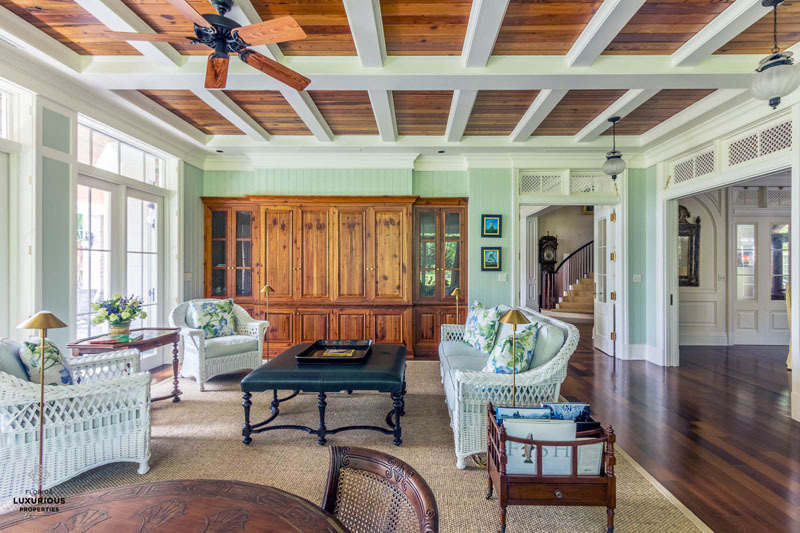 A unique coastal estate inspires Southern charm. 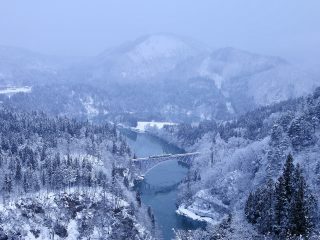 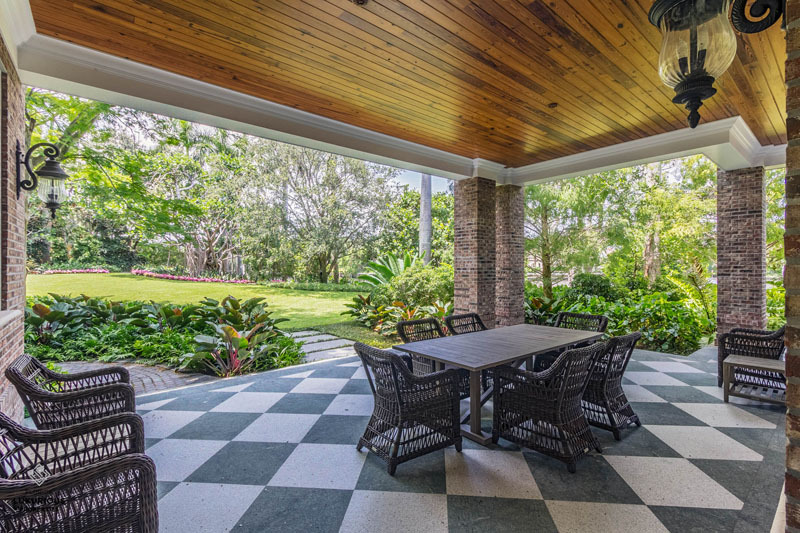 Upon arrival, you’ll instantly feel as though you’ve been transported to a country-style abode. 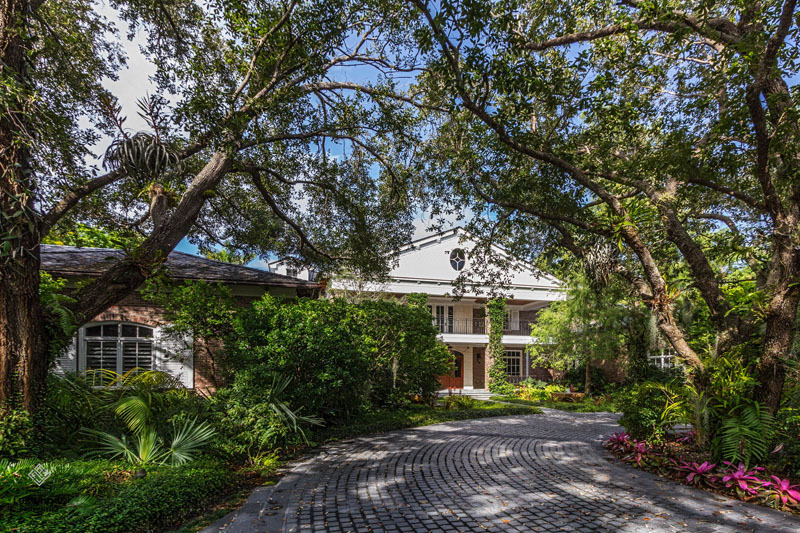 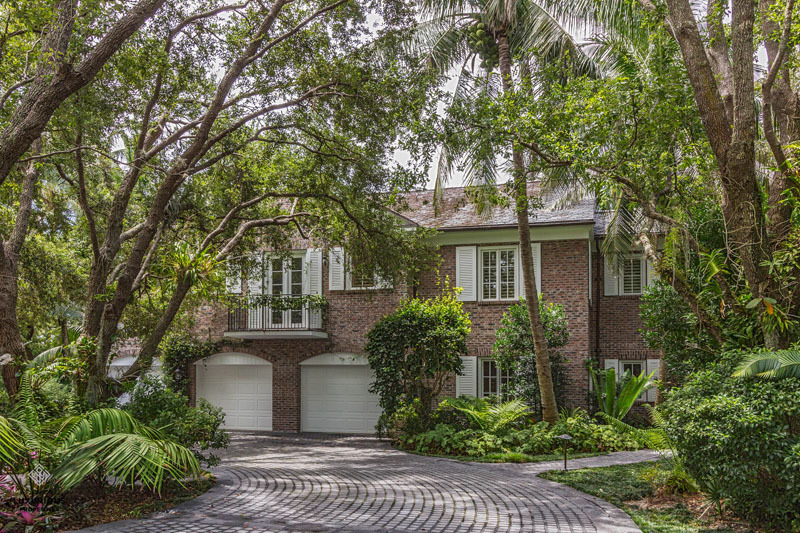 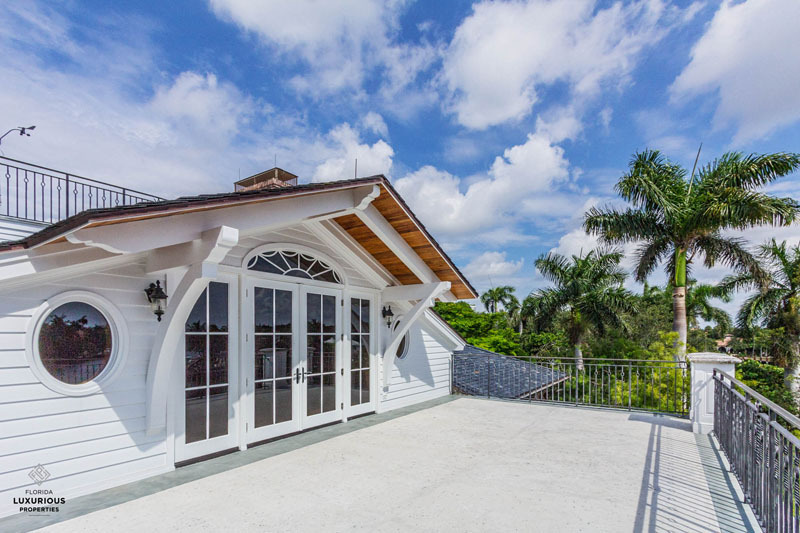 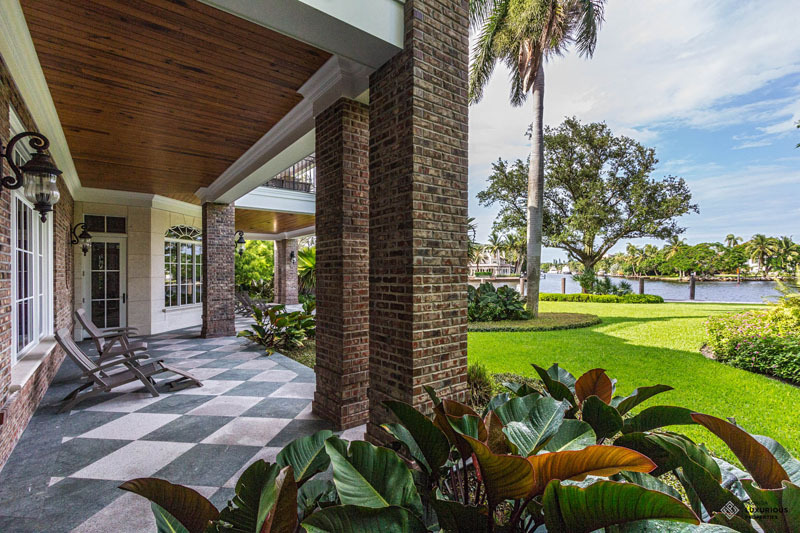 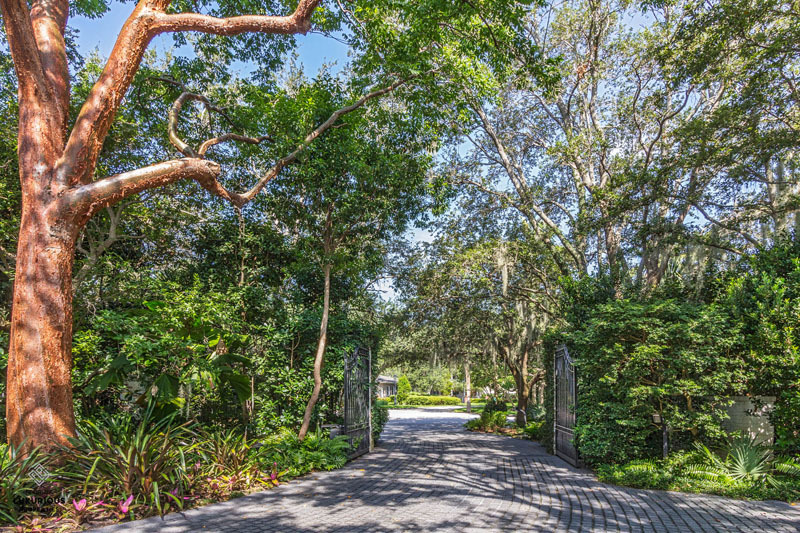 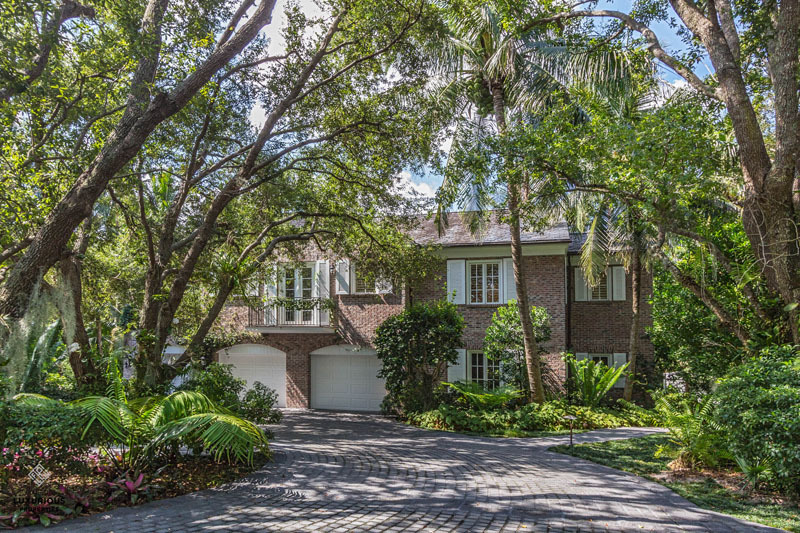 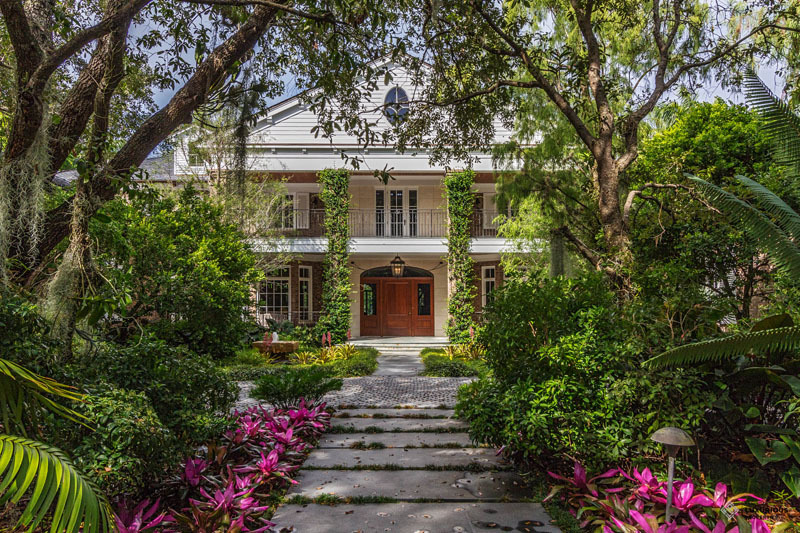 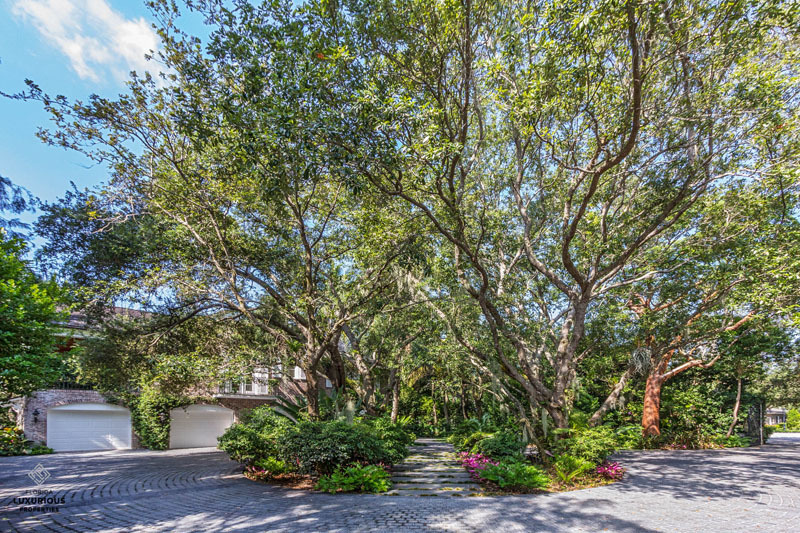 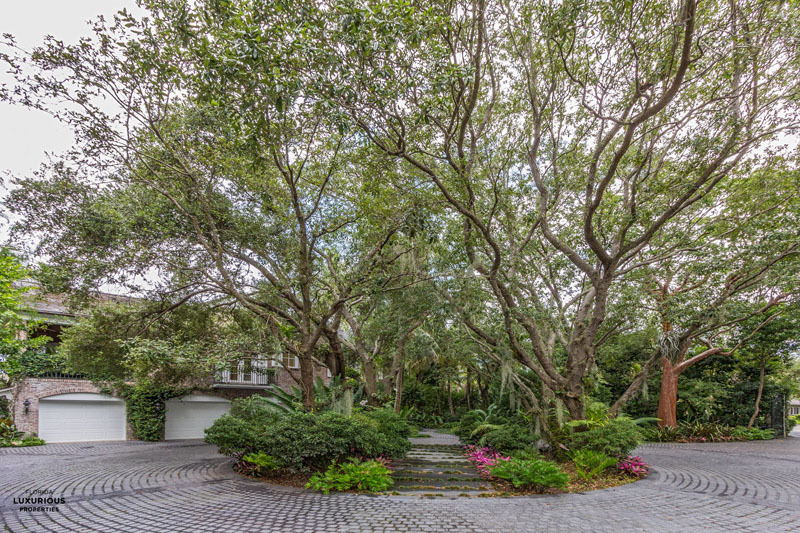 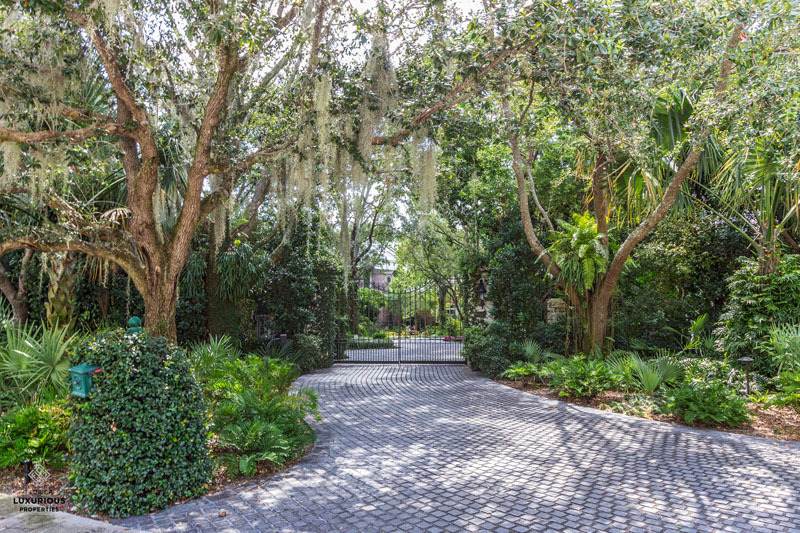 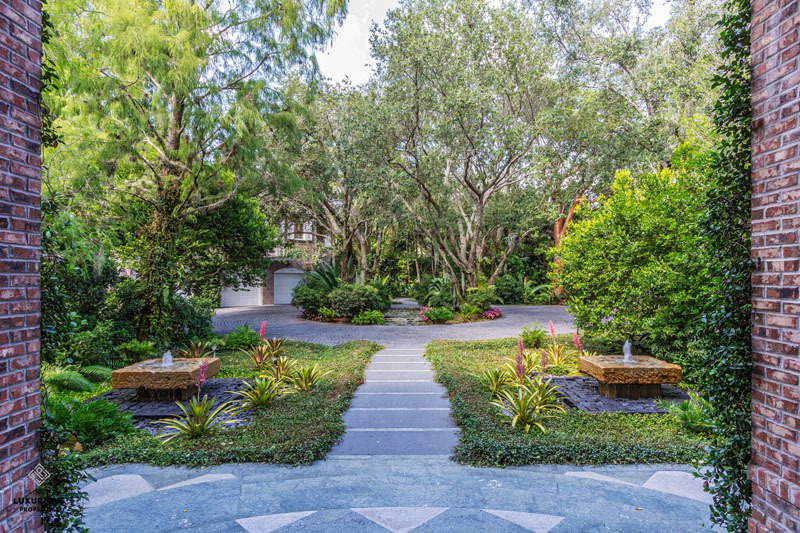 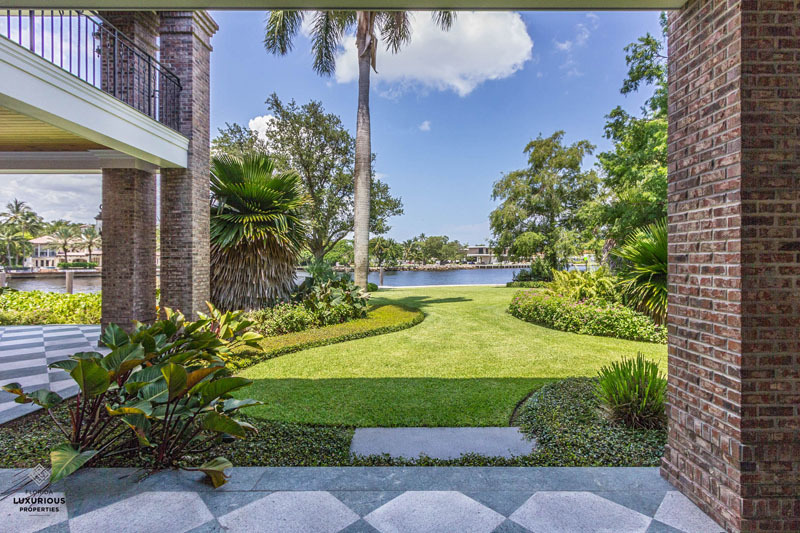 Both sides of the home feature an elongated granite driveway and walkway leading you to the intricate garden designed by well-known landscape artist Raymond Jungles. 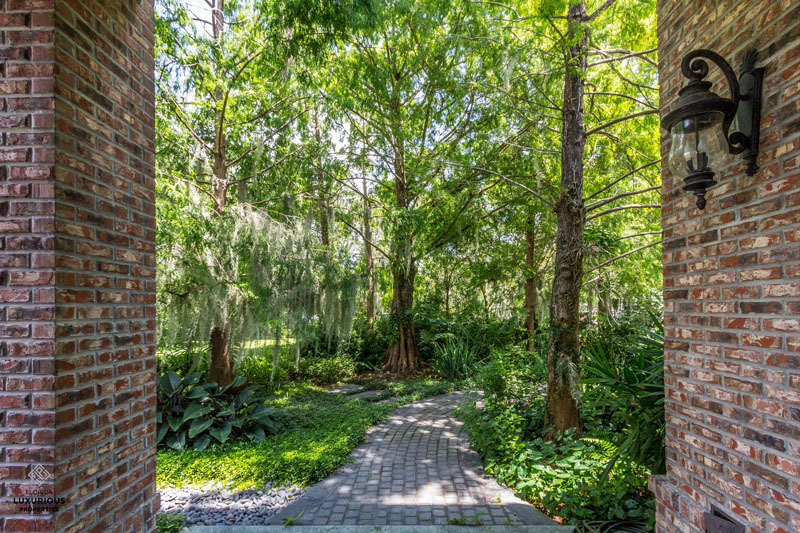 Walking through the garden, you’re met with 100 mature oak and bald cypress trees towering over you, which create ideal conditions for about 500 surrounding air-plants and orchids. 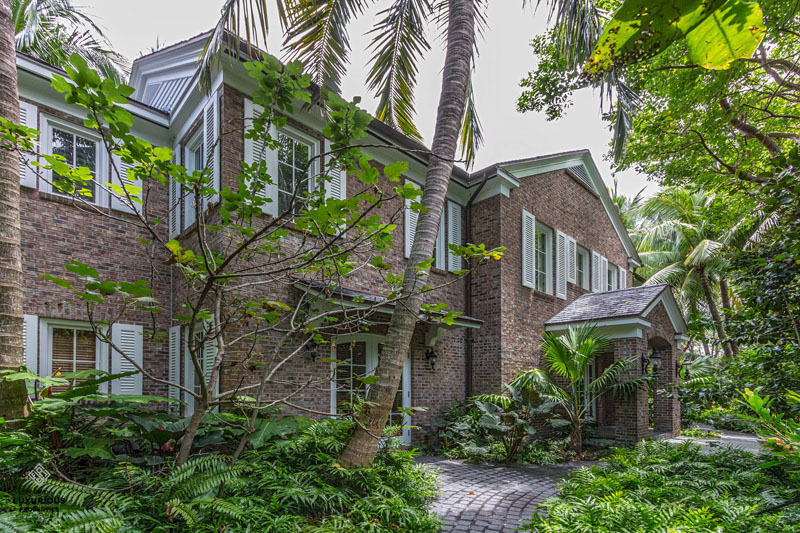 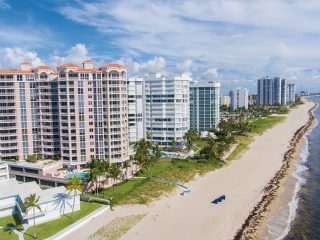 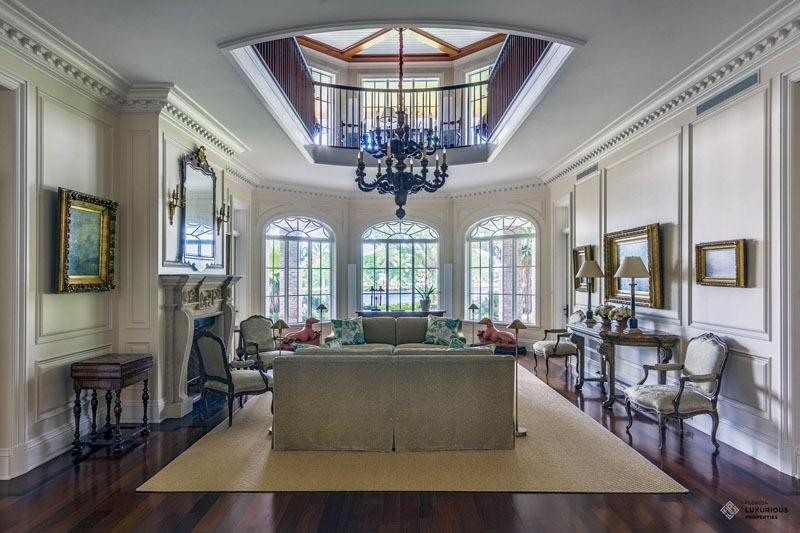 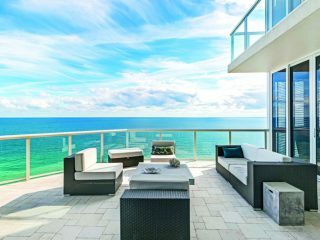 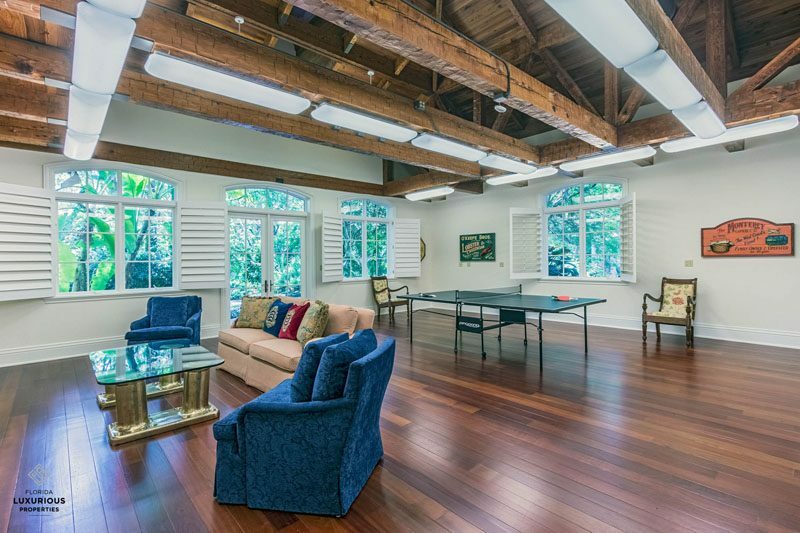 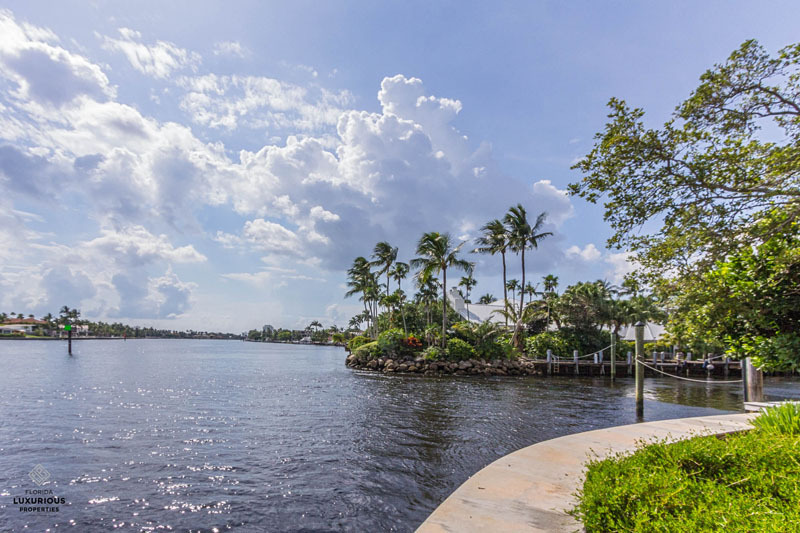 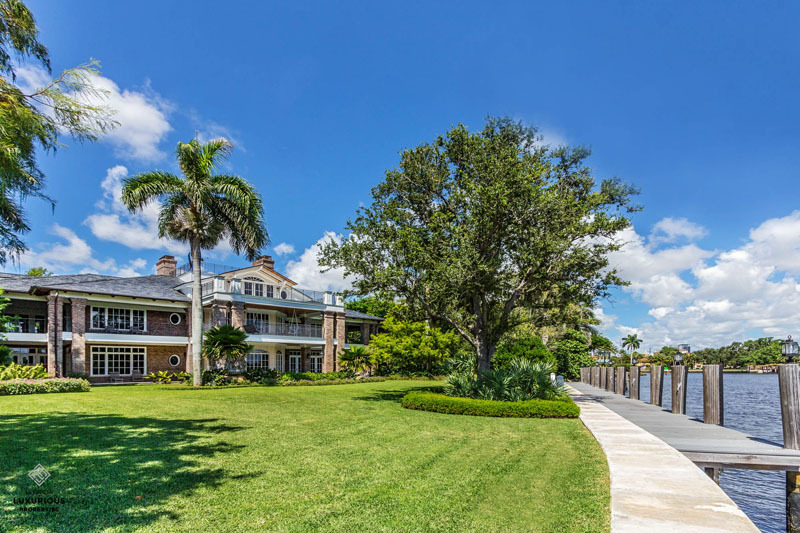 It’s a reminder that at almost two acres, 1600 Ponce de Leon Dr. sits on one of the largest residential point properties in Fort Lauderdale. 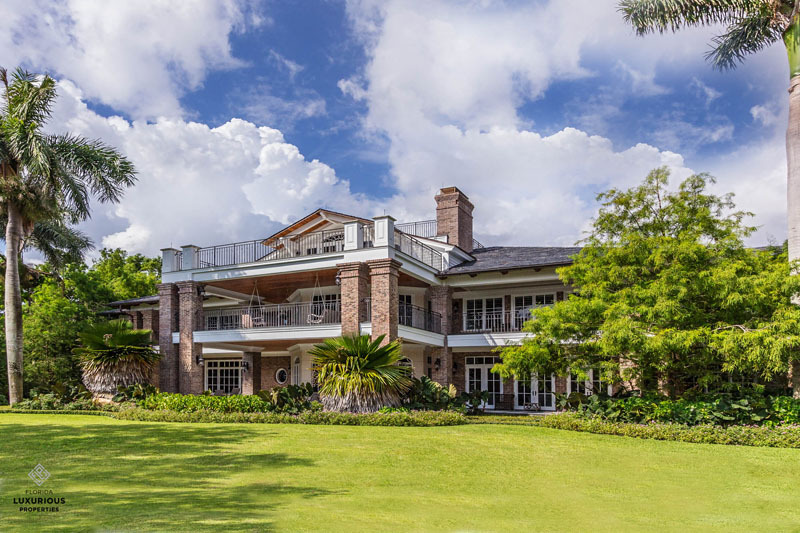 While the landscape alone is enough to leave you in awe, it complements the Southern coastal-inspired home designed by Tuthill Architecture. 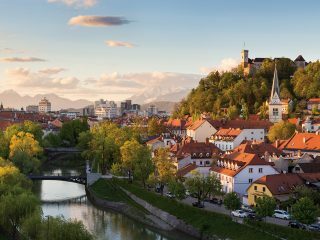 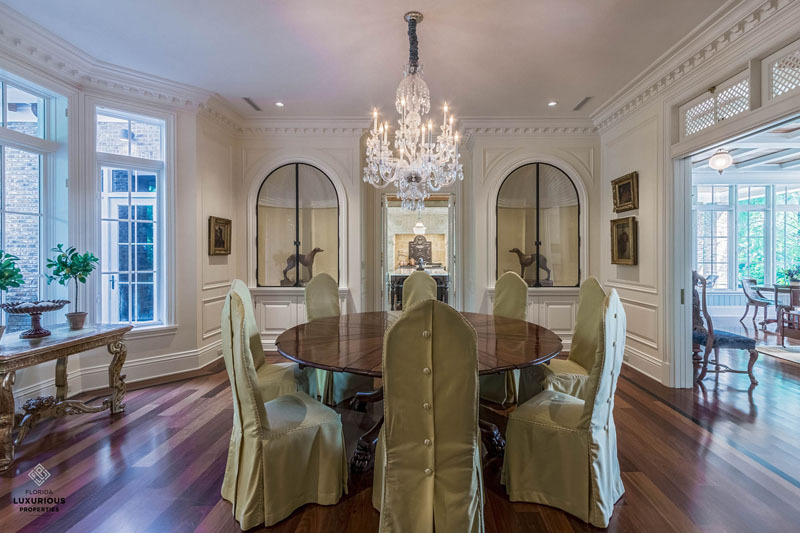 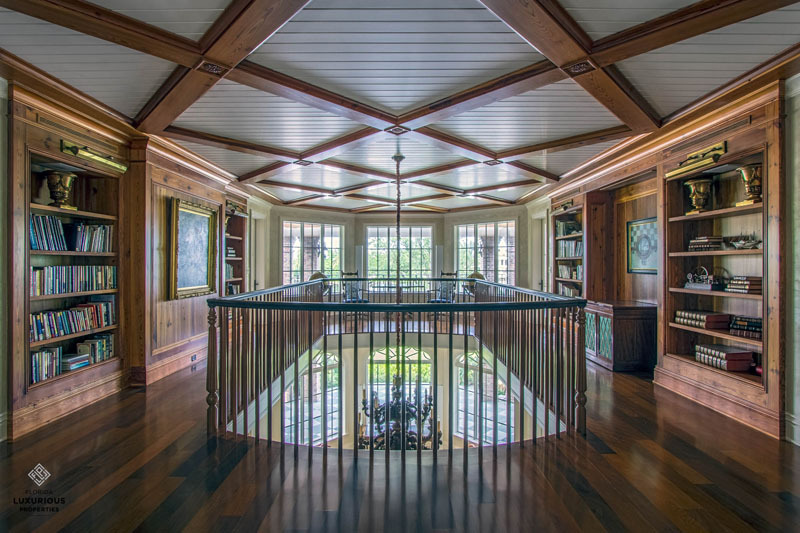 The main residence and guest house combine to make a total square footage of 20,045 with eight bedrooms, eight full baths and three half baths. 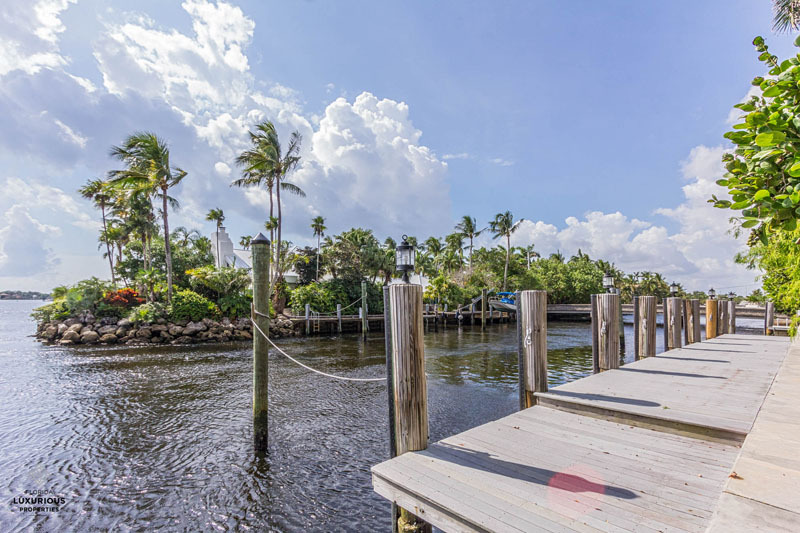 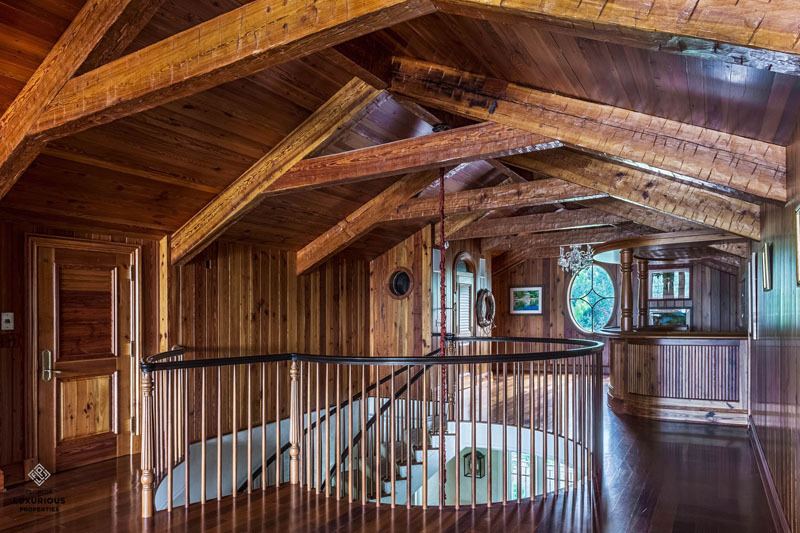 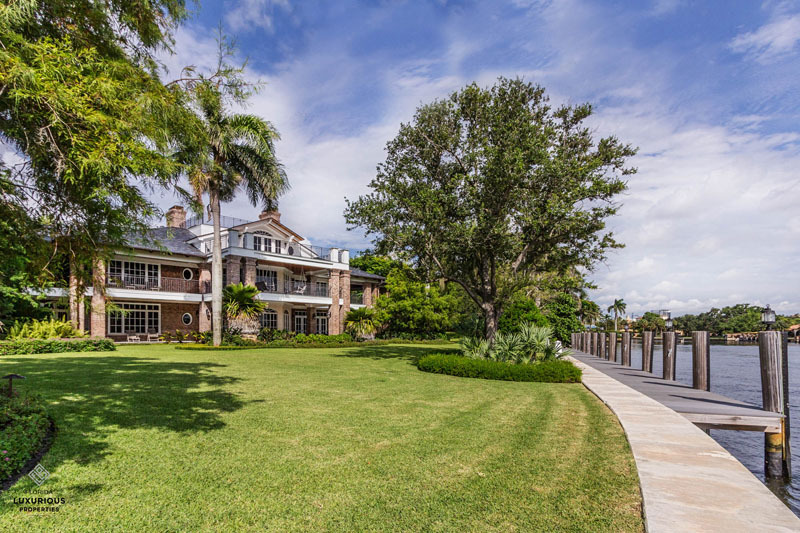 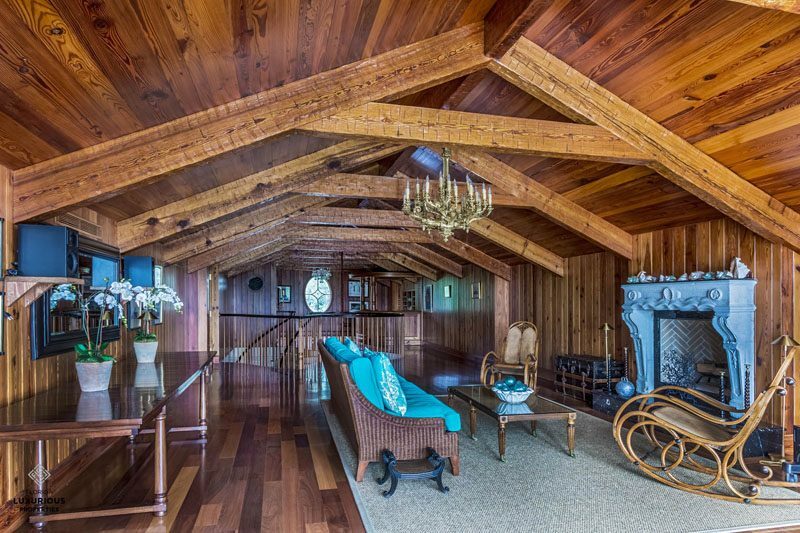 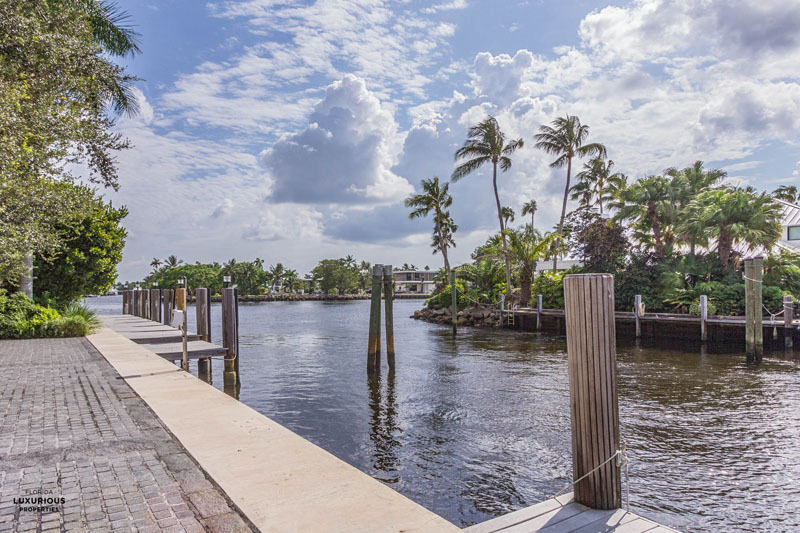 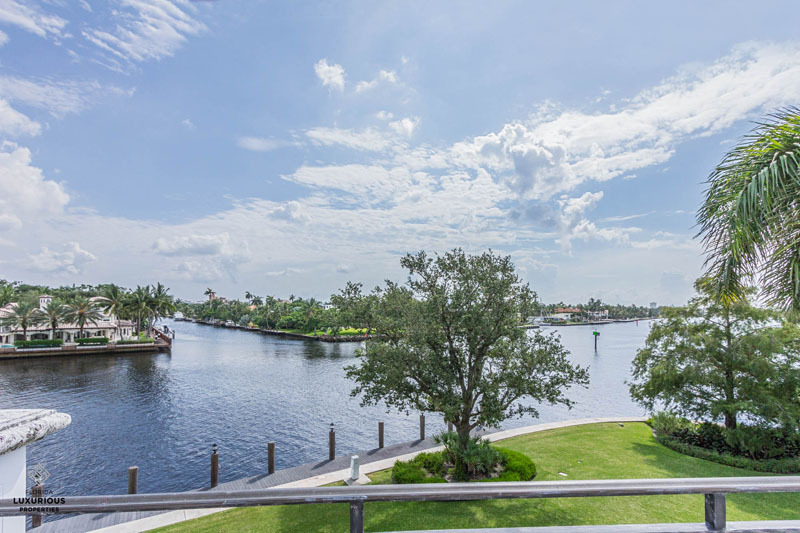 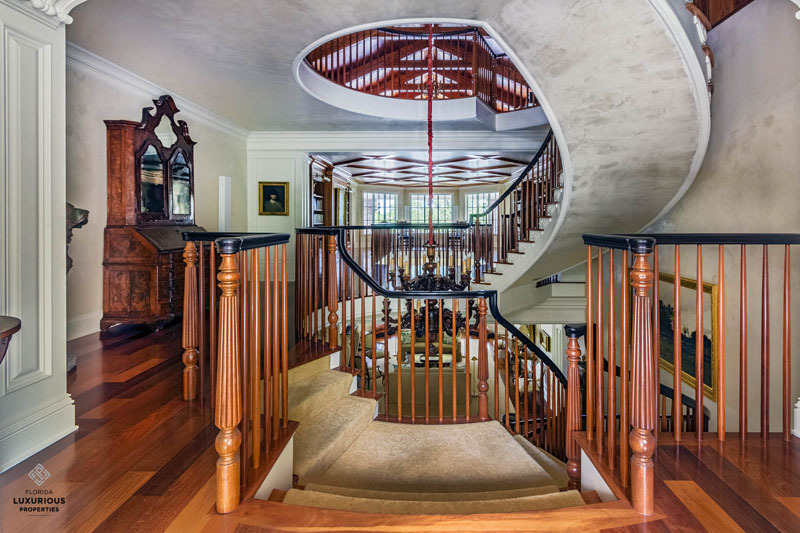 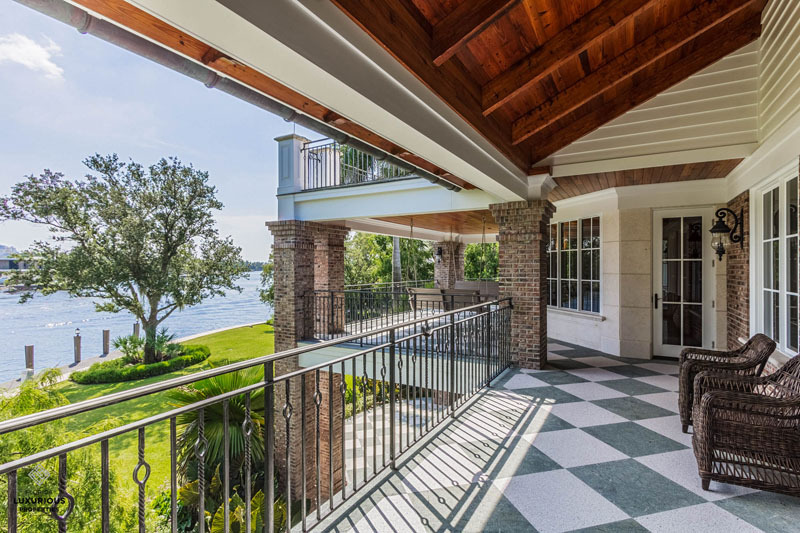 The home also includes waterfrontage of about 500 feet, a six-car garage, elevator, wine cellar, entertainment room, craft room and club room with bar. 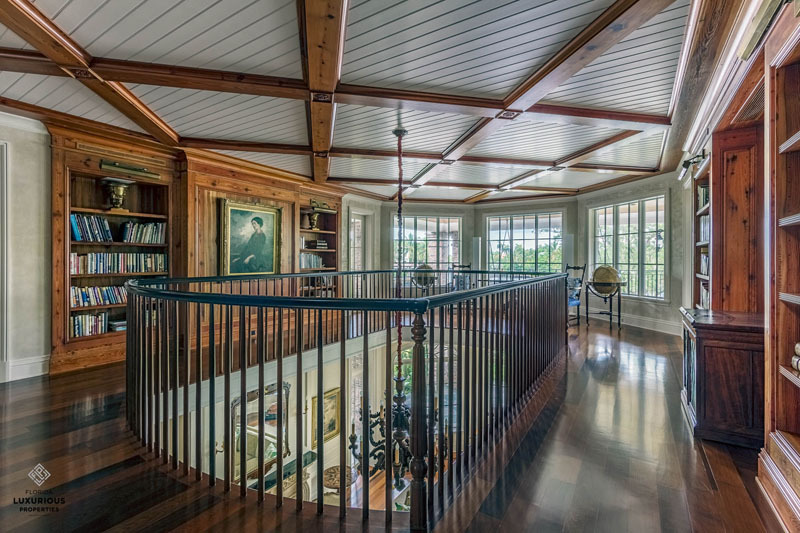 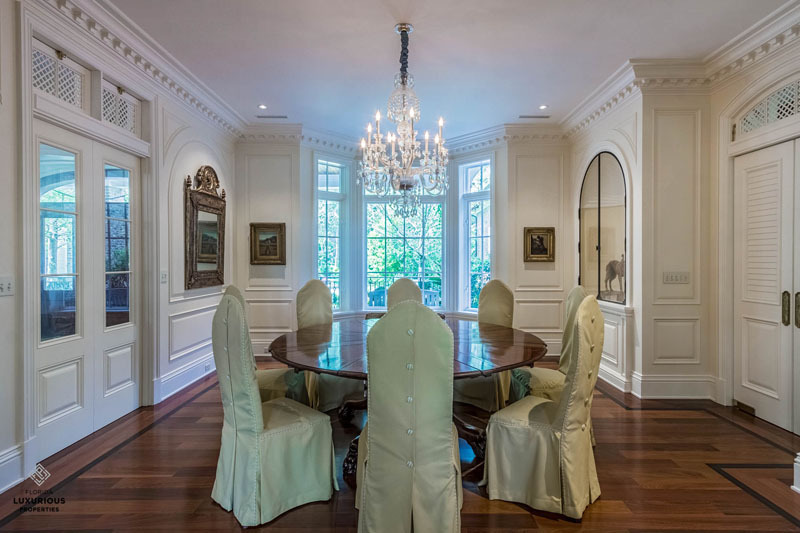 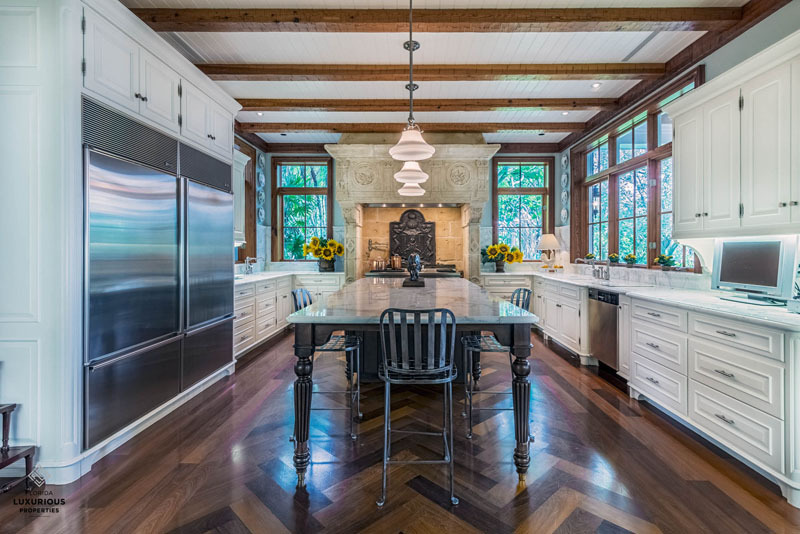 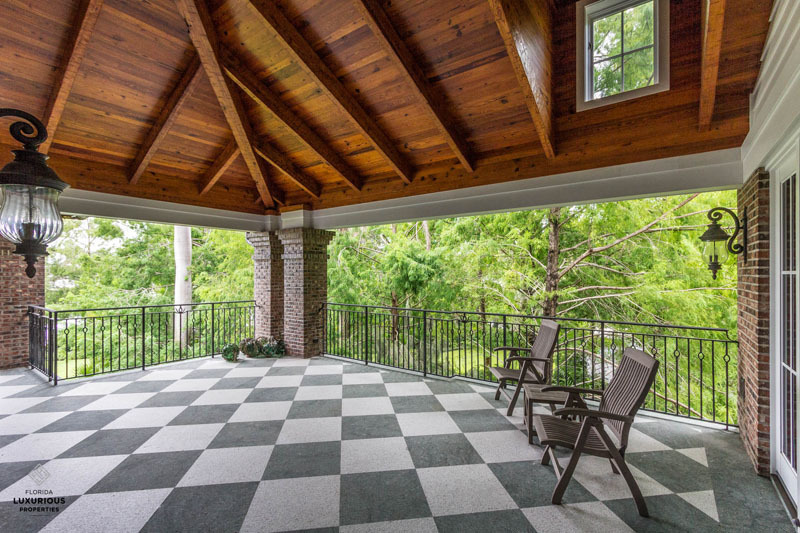 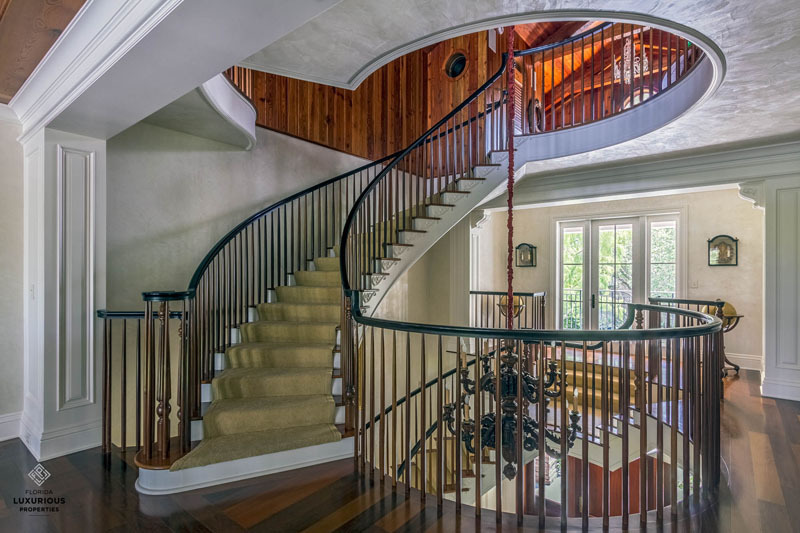 All along the house with 12-foot ceilings are spectacular views overlooking the gardens and the New River. 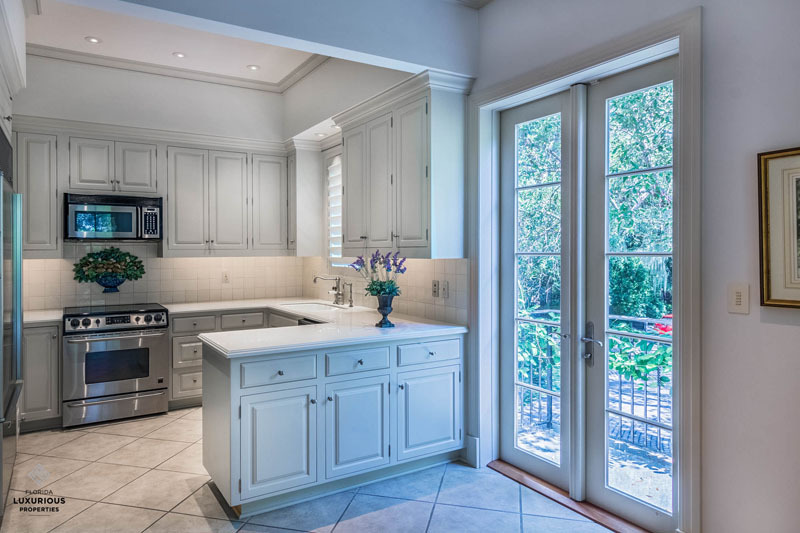 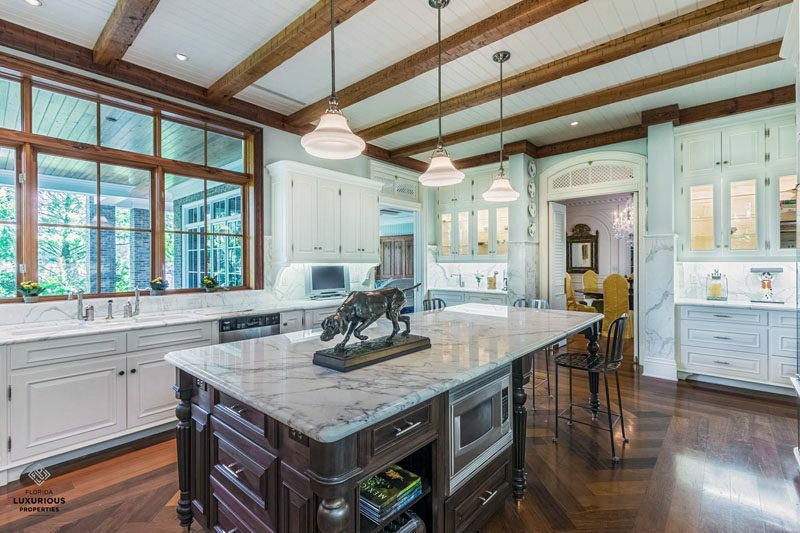 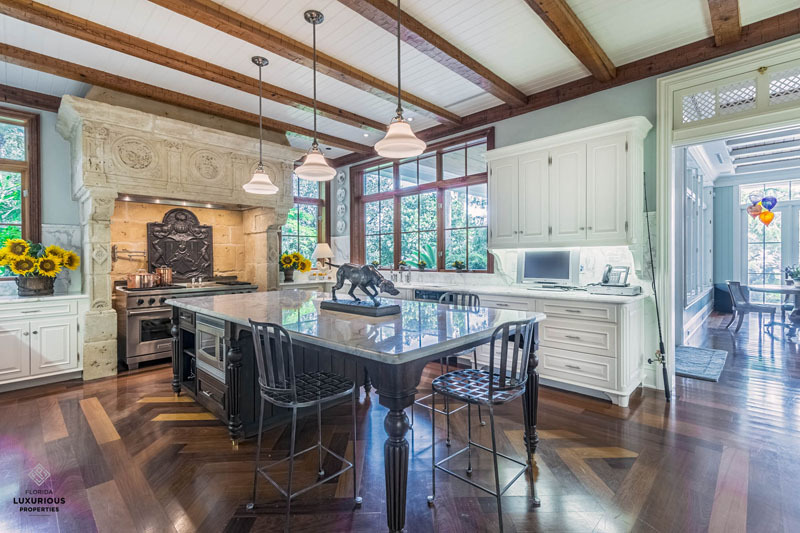 This doesn’t exclude the kitchen, which is covered in Carrera marble – from the countertops and the custom cabinetry to the backsplash and the wall. 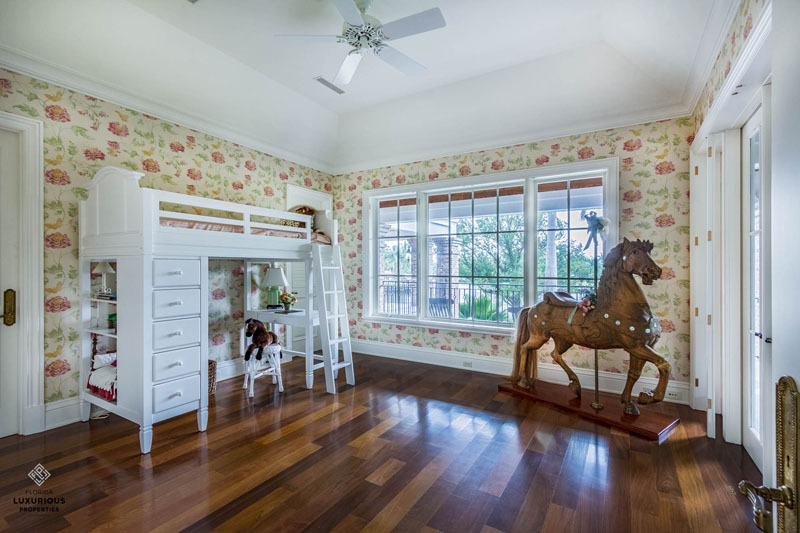 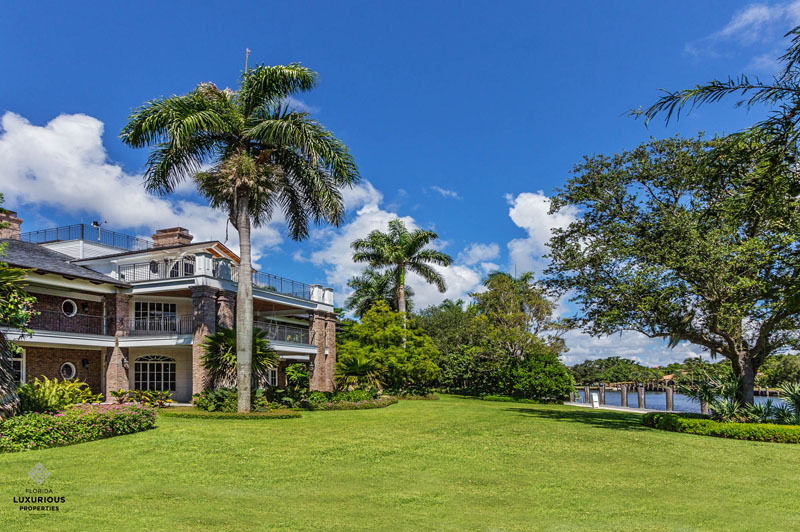 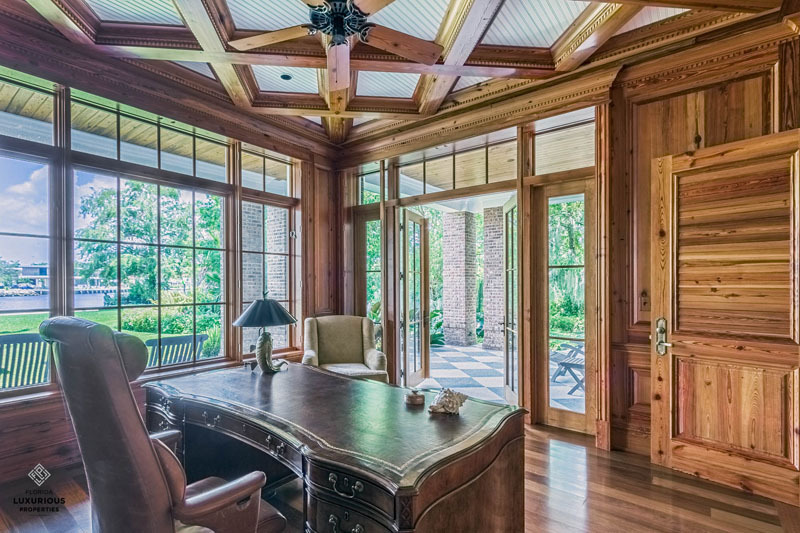 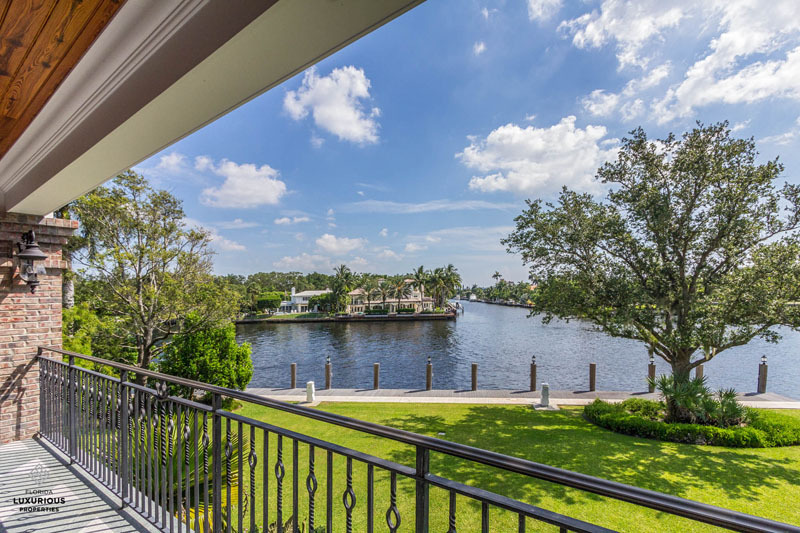 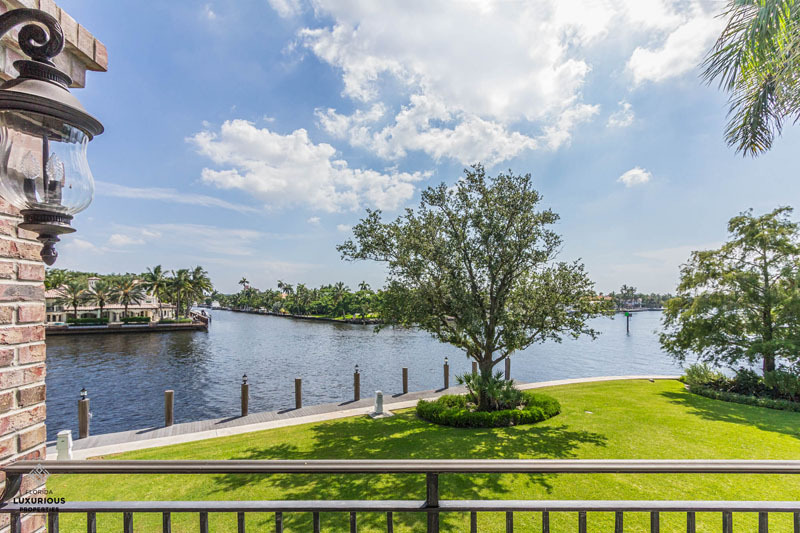 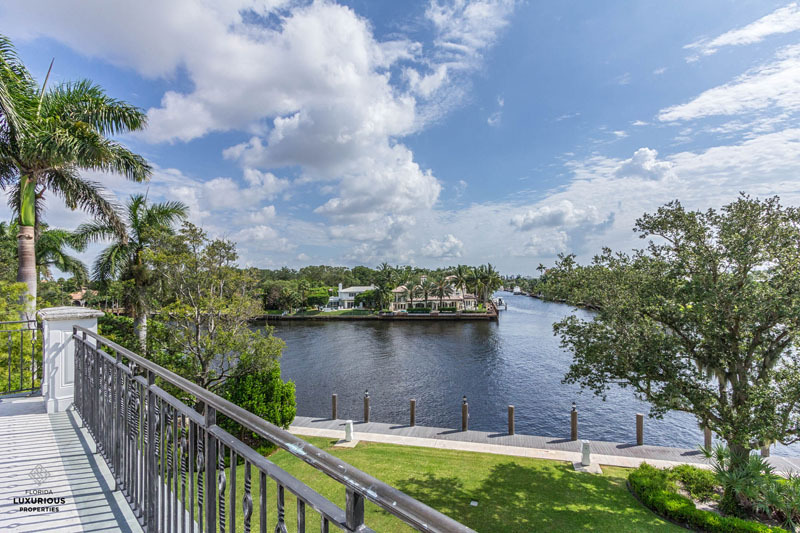 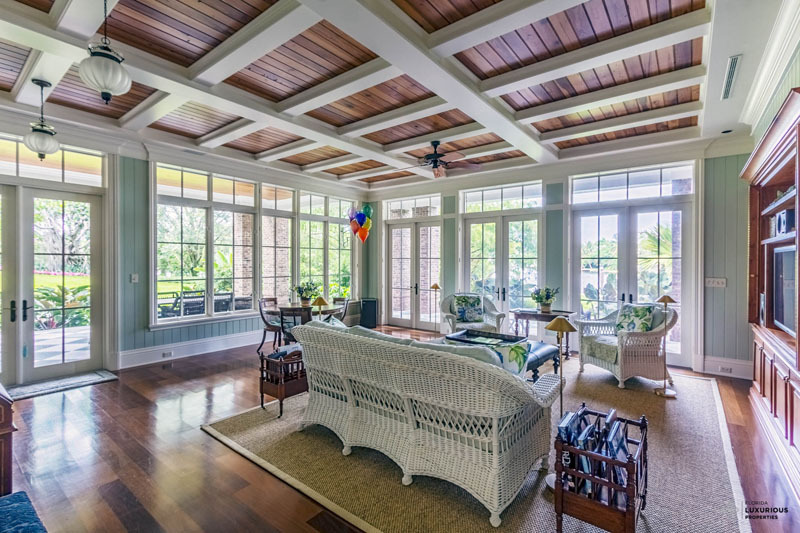 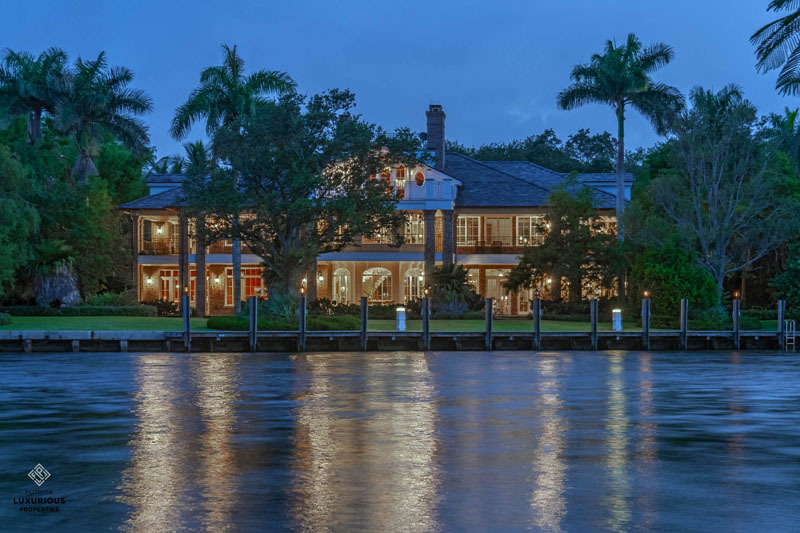 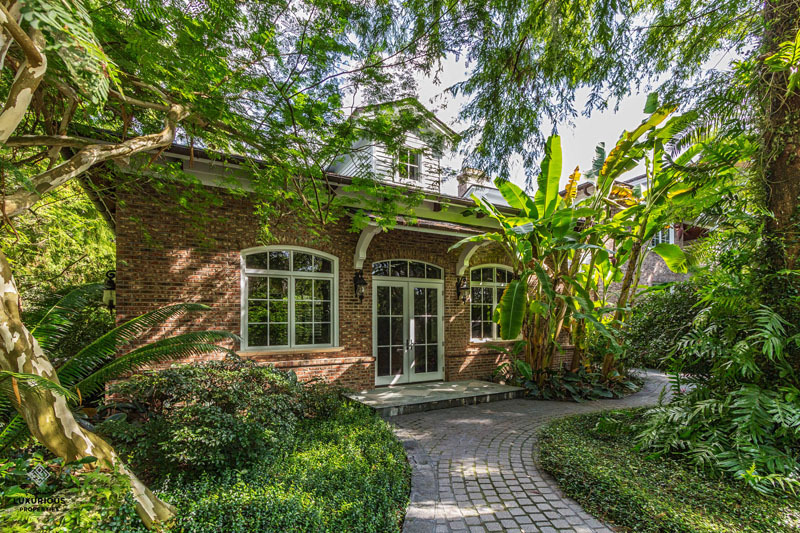 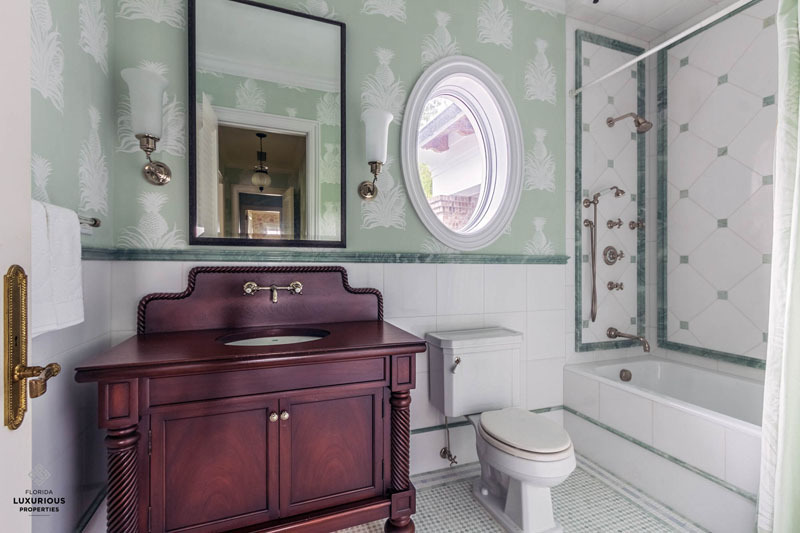 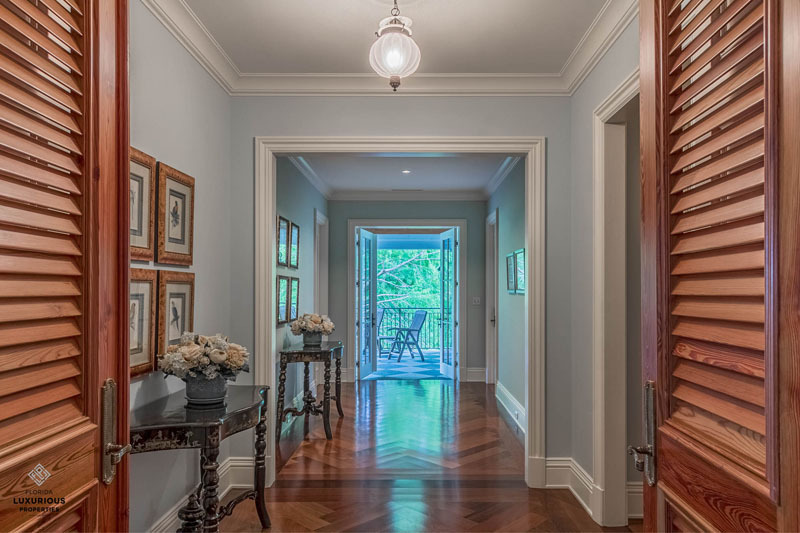 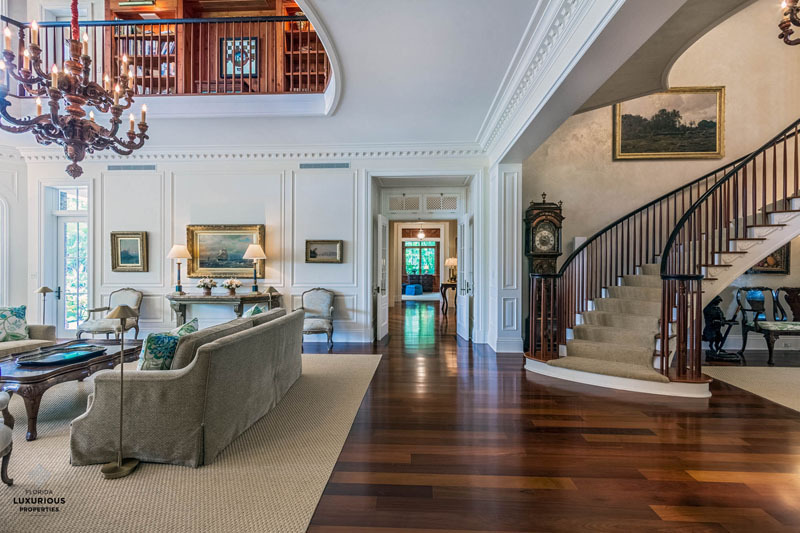 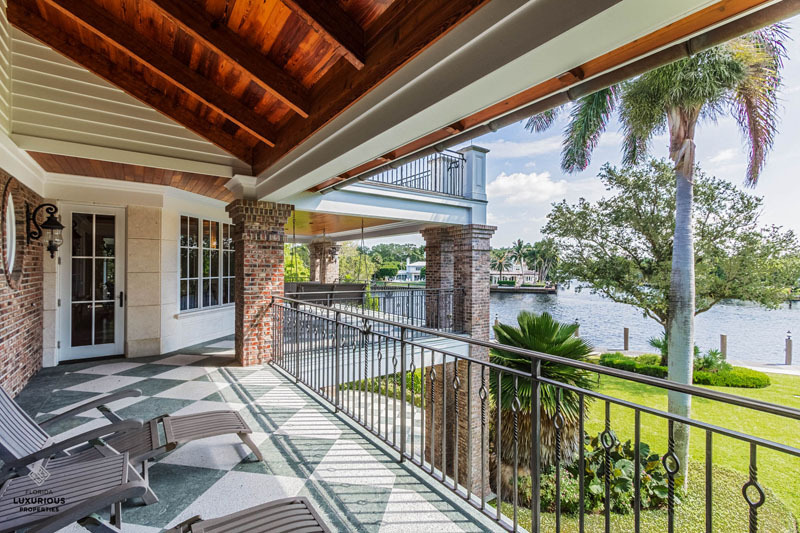 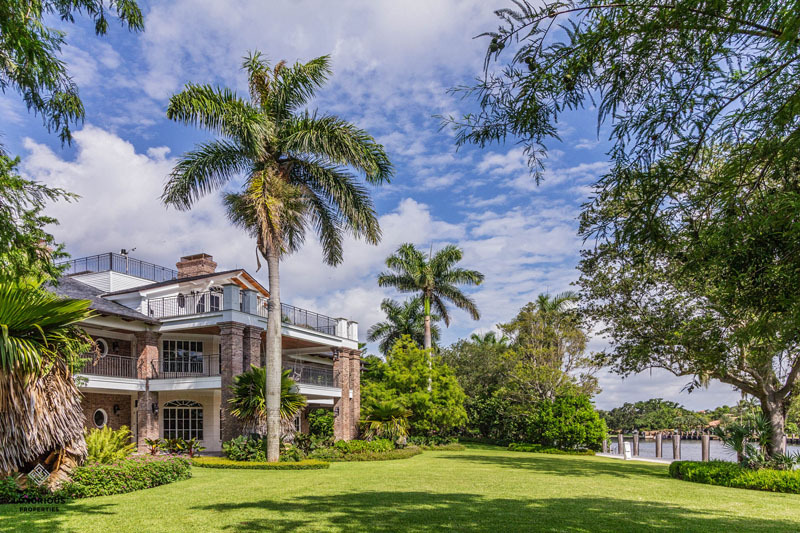 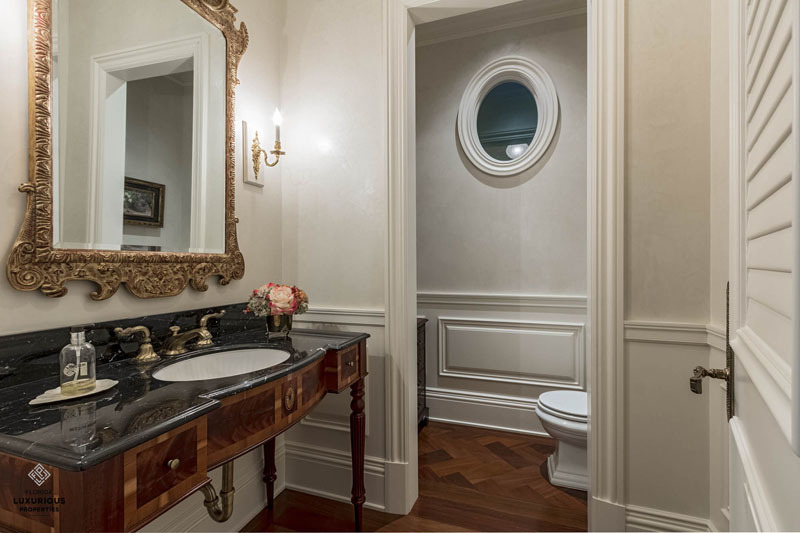 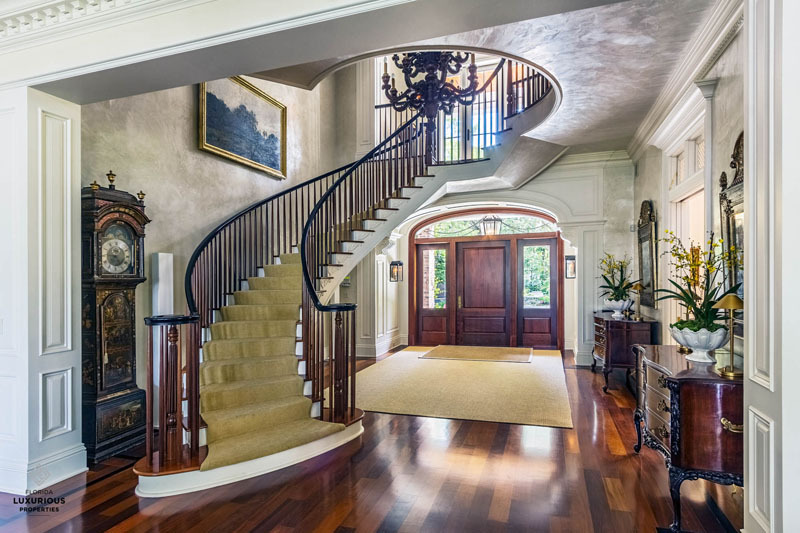 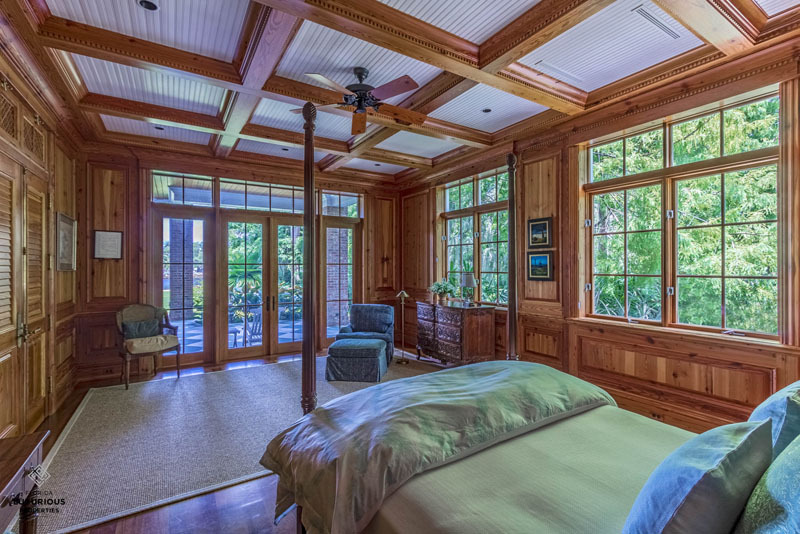 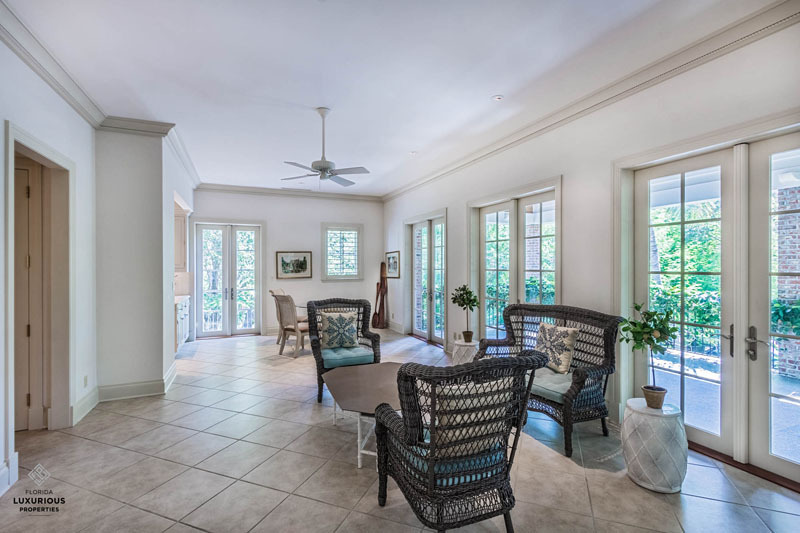 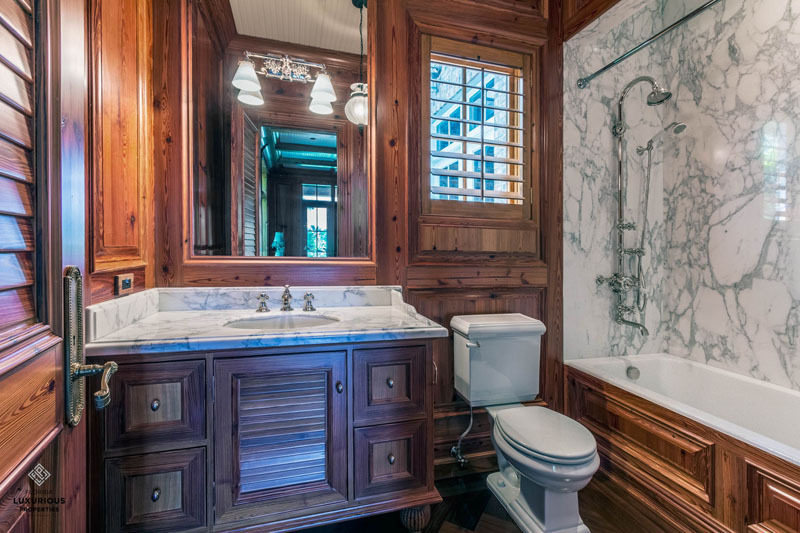 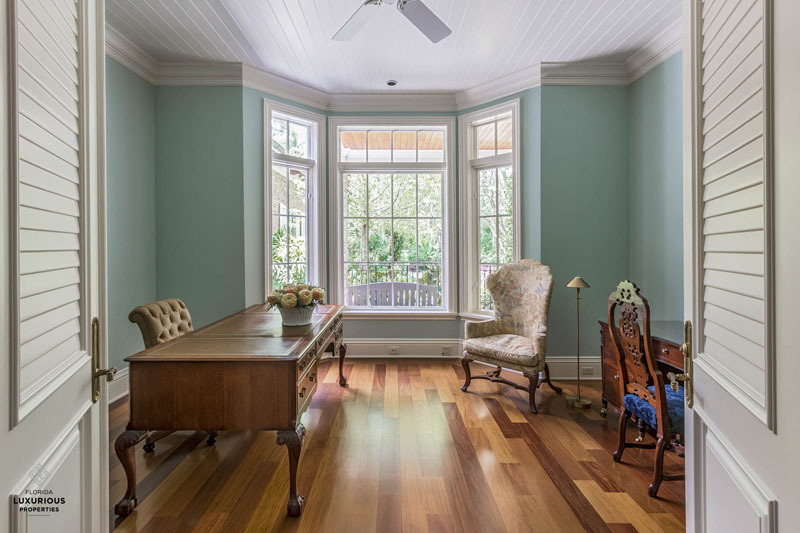 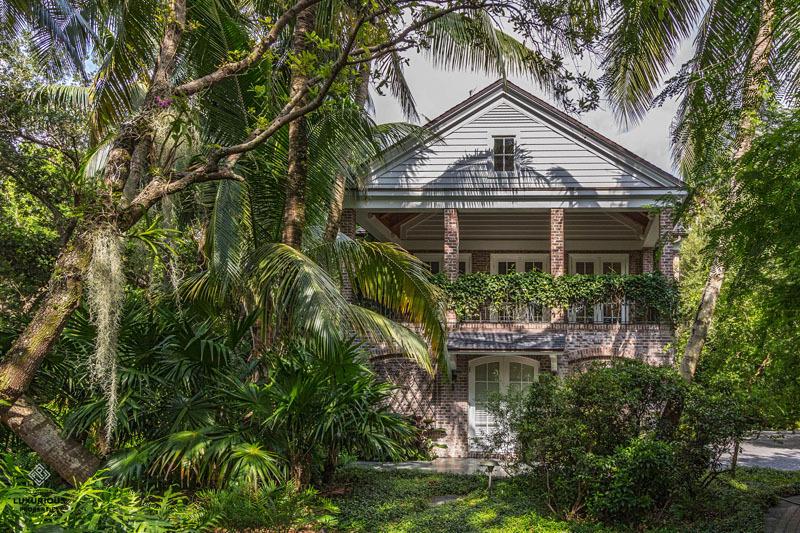 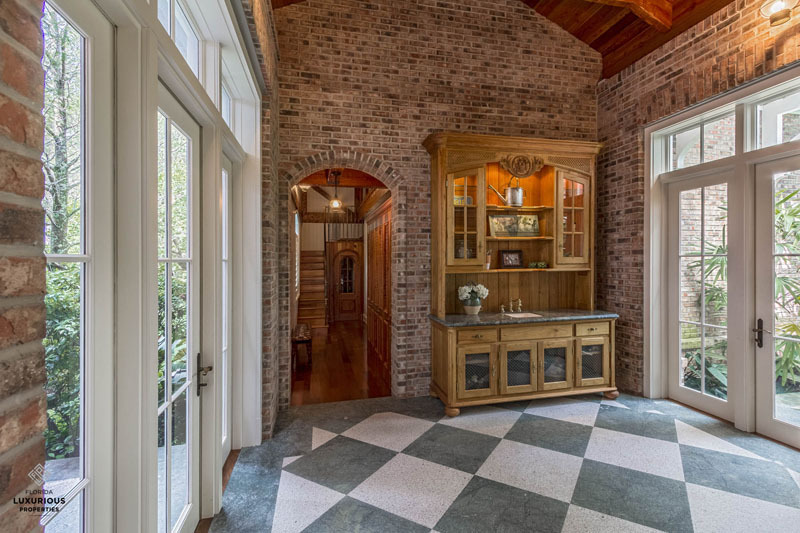 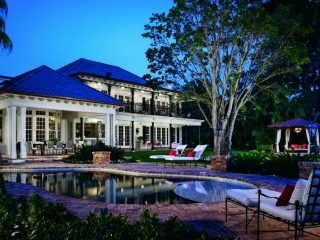 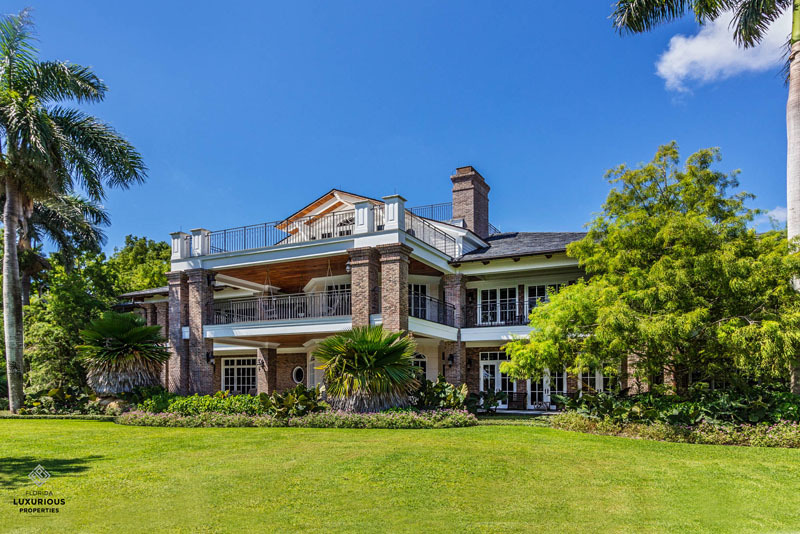 The master suite, with a plantation-style double-door entrance, includes a sitting room, large covered balcony with full views of the river and garden, walk-in closet with center island and a spectacular master bath. 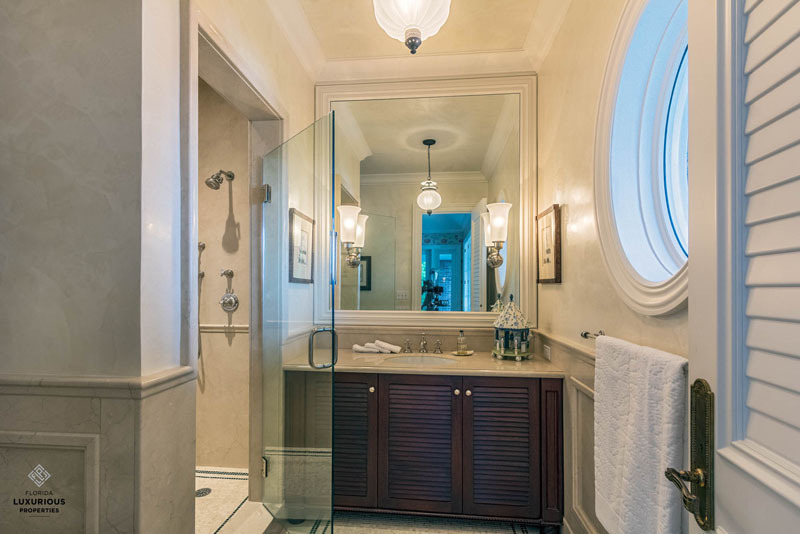 This bath has access to the covered balcony. 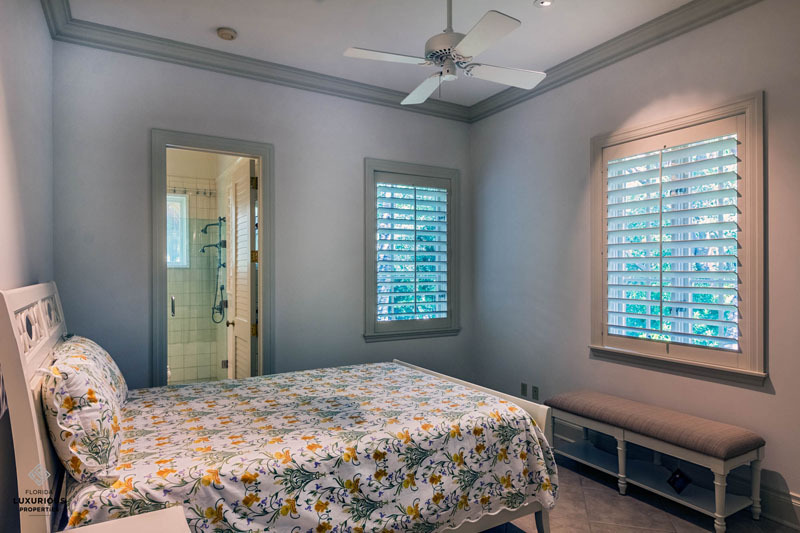 It features onyx floors and countertops, a Venetian plaster wall, soaking tub, walk-in shower and separate vanities and water closets. 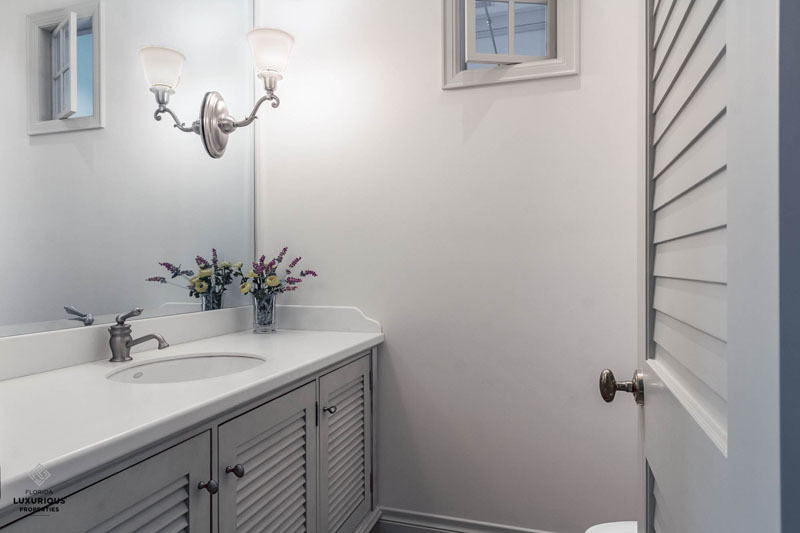 Most bedrooms are equipped with walk-in closets and en-suite baths. 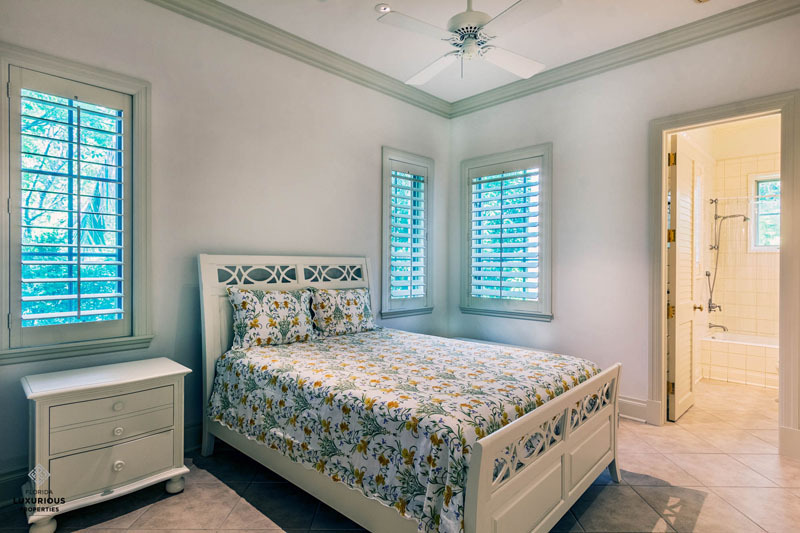 The guest home includes two bedrooms, two full baths, one half bath, two-car garage, laundry room, kitchen and covered balcony.